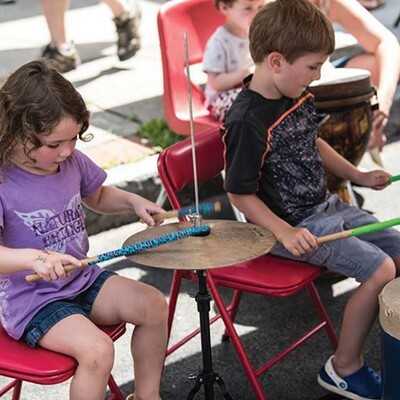 For 40 years, the Rosendale Street Festival has brought local artists, music, food, and fun to its colorful, eclectic Main Street. 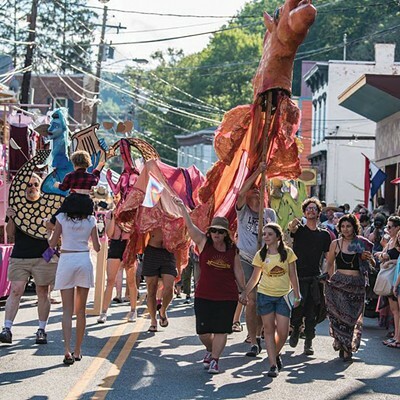 What started as a birthday celebration for Rosendale icon Uncle Willy is now a full-blown, two-day affair that showcases local talent against the beautiful backdrop of Joppenbergh Mountain and the Rondout Creek. 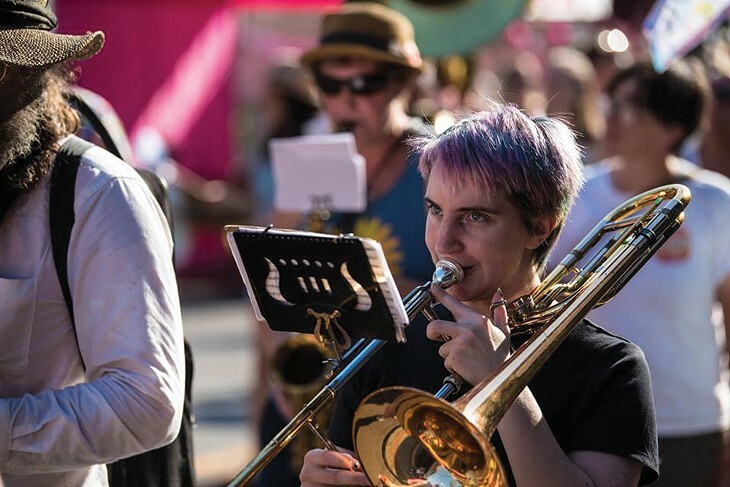 Tens of thousands will explore over 100 vendor booths, kid-friendly activities (such as the craft tent and drum circle), and a variety of live performances. This year, the festival welcomes a new, outdoor stage at Red Brick Tavern that will host some smaller acts like Spaghetti Eastern Music and Becoming Human. Amidst all the action, appreciate the rollicking nature and remnants of Rosendale history at every corner. "In 1978, it was quite a party, with only one stage and continuous music and mayhem," says festival volunteer Carrie Wykoff. 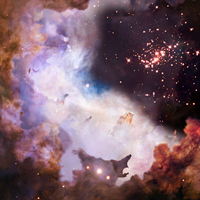 "Today it is much more organized and larger. We work with the town board and the Rosendale Police to ensure that it is safe and family friendly." Here are 10 ways to spend the weekend when the free, community festival hits town on July 21 and 22. Show up in your tie-dye best. Celebrate the festival's 40th anniversary by wearing tie-dye. Since its inception, tie-dye has been a staple of the '70s-born event. Bonus points for wearing a vintage festival shirt from 1978. "We'll be keeping our eyes out and try to give gifts to those who attended the first street fest," Wykoff says. 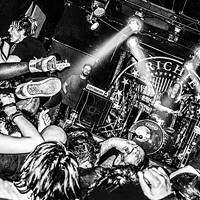 With eight stages and over 100 bands scheduled to play, chances are there will be many performers that you've never heard of before. 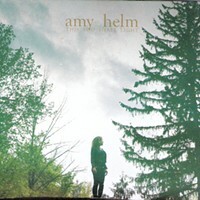 Take this opportunity to keep your ears open for your new favorite band or musician. Some performers to look out for: Gus Mancini, New Paltz School of Rock, Dog on Fleas, and Jimmy Eppard. Eat at the food truck court. Main Street restaurants will be open for business during the event, but the food truck court is perfect if you're looking for on-the-go bites. Head to Willow Kiln Park to eat from about 15 different food trucks, ranging from seafood to Mexican. Catch a sneak preview of the original play "Truth!" On Saturday at 3pm, visit Red Wing Blackbird Theater to see snippets of a production about the life of Sojourner Truth. The original play, "Truth!," features puppets, music, spoken word, and dance. It's a collaboration between Redwing Blackbird Theater, the Center for Creative Education, The A. J. Williams-Myers African Roots Library, and Youth Arts at Rosendale Theater. See headliners Lara Hope & the Ark-Tones. Don't miss this year's festival headliner, Kingston-based rockabilly band Lara Hope & the Ark-Tones. (Hope was the winner of the 2017 Ameripolitan Music Award for Best Female Rockabilly Artist.) The four-piece country rockers have received both local and international recognition, and are just coming off their first European tour. Drink at the beer gardens. While alcohol is not permitted into the festival, there are two designated drinking areas in the beer gardens at Willow Kiln Park and the Creekside Stage on Snyder Avenue. Catch a break from the heat with some locally crafted beer and cider. Watch student films and performances at Rosendale Theater. 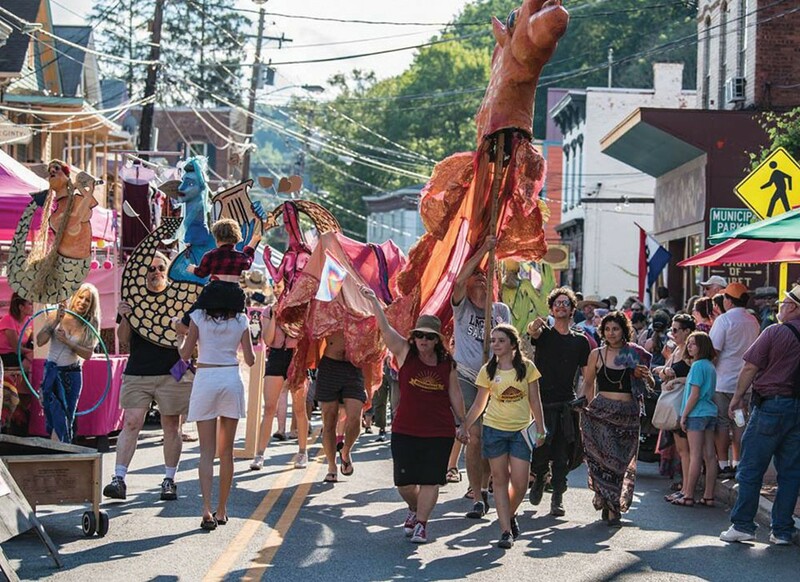 Rosendale Street Fest has always been about highlighting local talent. Pop into the Rosendale Theater to see short films made by students from High Meadow School and Woodstock Day School. There will also be a performance by New Genesis Productions, a youth theater company that stages Shakespearen plays. Relax on the deck of the 1850 House Inn. The former Astoria Hotel was lovingly renovated a few years ago into a charming boutique hotel and restaurant. See if you can snag a table on the expansive back deck overlooking the Rondout Creek, far from the madding crowd, for a bite from their pub menu. It's also the last spot in town to get sunlight, so soak in that golden end-of-day light while you sip a beverage. Hike up to the Railroad Trestle Bridge and enjoy the view looking back down. Take in Rosendale's lush, mountainous views from over 100 feet off the ground. The Rosendale Trestle, an extension of the Wallkill Valley Rail Trail, is a 940-foot long, 150-foot high railroad trestle-turned-footbridge over the Rondout Creek, offering a full view of the party doown on Main Street. You may run into the man who started it all as you stroll down Main Street. If you do, make sure to say hello and get a photo with the local legend. In the '70s William J. Guldy Jr. owned a bar in Rosendale called The Well. Guldy became known as Uncle Willy for his spunky, lively character and contributions to the town. 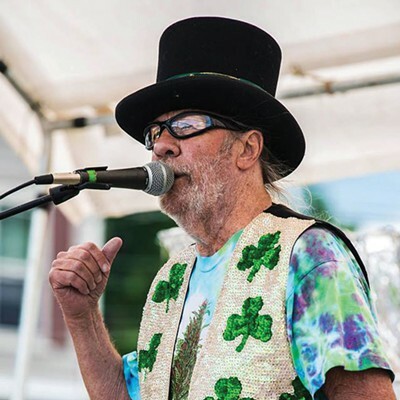 He threw a birthday bash for himself every year on Main Street, and in 40 years it's grown into the huge, community event that is the Rosendale Street Festival.